in the midst of nature. Make the most of the refreshing summer in this northern land. A thrilling ride on a rubber boat descending down a roaring stream of melted snow, through exposed rocky areas. Dry suits and life jackets will be worn, so it's safe for people who cannot swim. Min. age: junior high students and older. Starting in June, available for elementary school children and older. 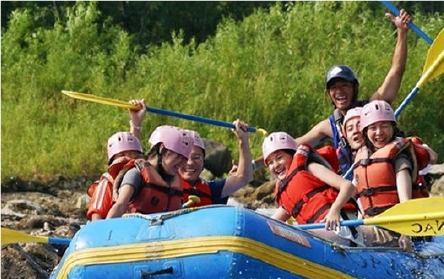 Ducky is a rubber boat ride for 1 or 2 persons. 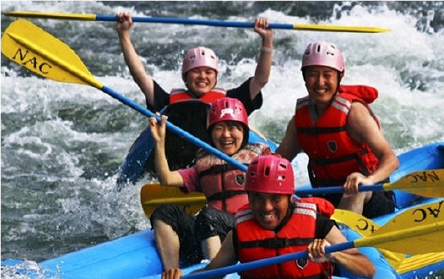 Enjoy the totally different feeling of going down the rafting course in a much smaller boat. Min. age: junior high students and older. 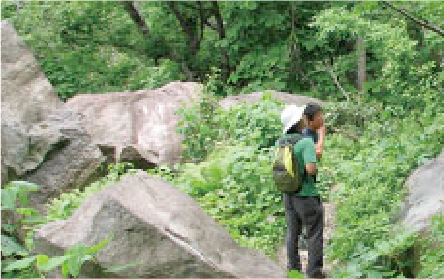 Enjoy hiking through the wilderness, listening to birds singing and feeling the forest breeze. 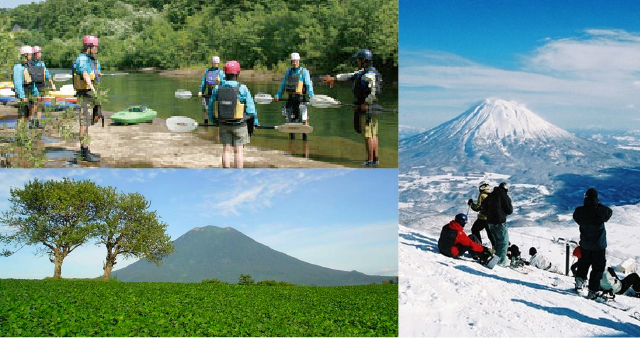 Along with a guide, climb the beautiful grandeur of a mountain (6,227 ft high) chosen as one of the top 100 mountains of Japan. 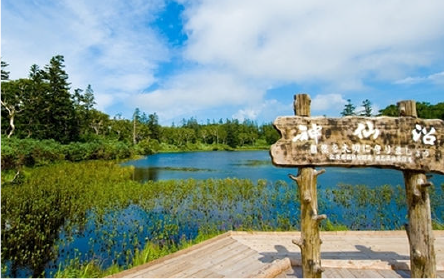 Enjoy the flowers of mountain plants and the great wilderness while hiking through marshland. 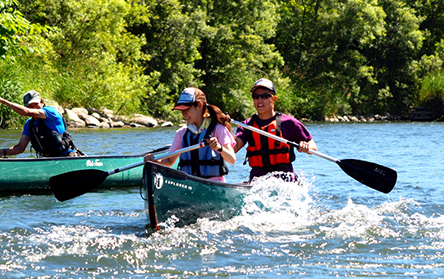 Experience a ride in a real canoe through the wilderness at the eye level of waterfowl. 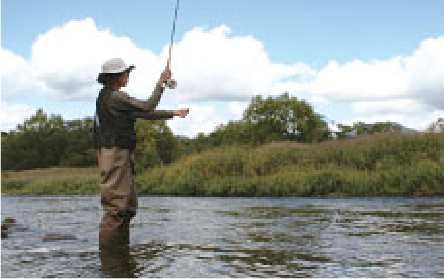 Enjoy fishing led by a guide along the Shiribetsu River that flows through Niseko. 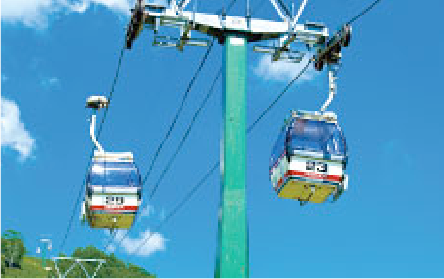 An experience you won't find anywhere else, looking down at the city of Niseko from high up in the sky on a panoramic ride in the middle of a vast wilderness. The view from the gondola that takes you up near the top of the highest mountain peak of Niseko is just amazing. 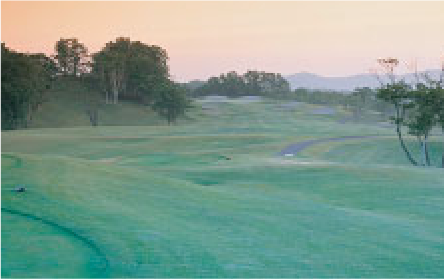 There are recommended standard golf courses around the hotel where you can enjoy a round of golf with Mt. Yotei in the background. We offer value package prices. Season: mid Jun - Oct. Enjoy a fresh dessert made from fresh milk from the farm. 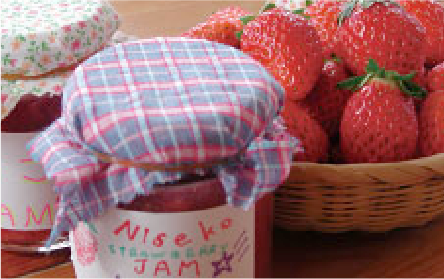 Experience making jam from fresh fruits. 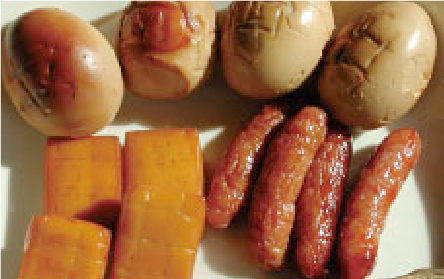 Experience the smoking process of various foods. 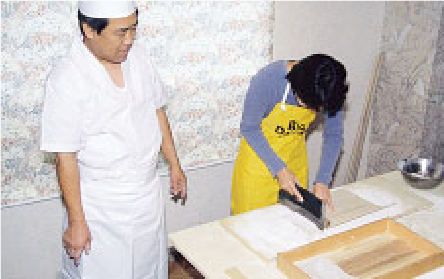 Enjoy the taste of your own handmade soba. 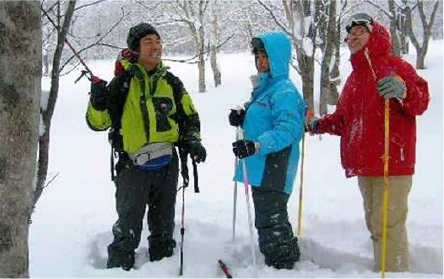 Play with powder snow in the silvery white world of snow. 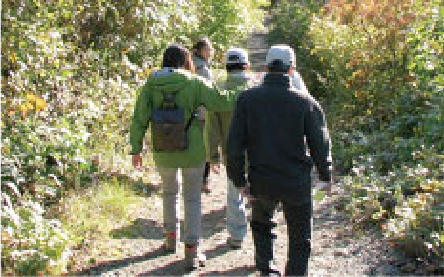 Walk on soft snow wearing snow shoes and explore the parts of the forest off limits during the summer. 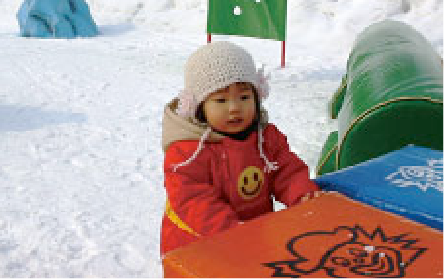 Small children can enjoy riding on tubes and sleds on this dedicated course. Private lessons for preschool children over 3. 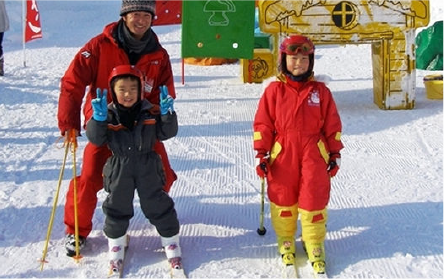 Children will have fun learning how to ski with careful instruction from friendly instructors. Skiing lessons only. 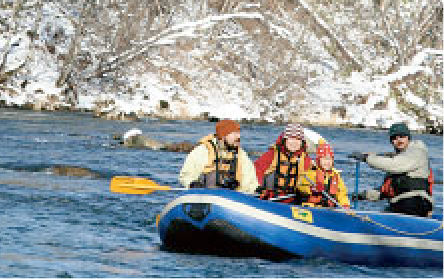 Raft down a stream and enjoy the dramatic changes in the scenery from summer to winter. Hours: 9:00am-2:00pm Your choice of starting time. Ride is about 1.5hrs. 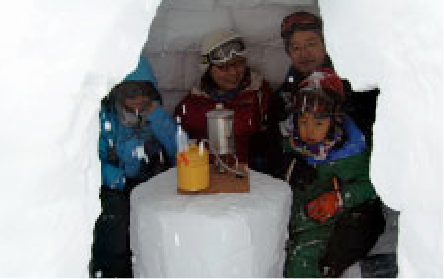 Try building an igloo, a house for Innuit, with snow. ＊Hours and prices are subject to change without notice. The ski park is just outside the hotel. ＊Proof (student card,driver's license) is required for age 13 - 15 and seniors' discounts. ＊Children below school age are free of charge. ＊Night skiing tickets are available at each ski area. ＊Hours and days of operation are subject to change according to snow and weather conditions. 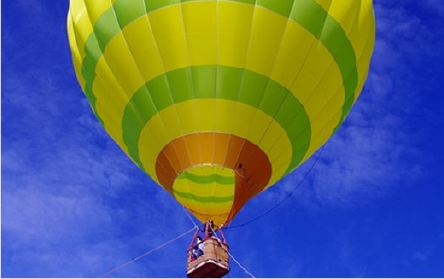 *Proof (student card,driver's license) is required for age 13 - 15 and seniors' discounts. *Children below school age are free of charge. 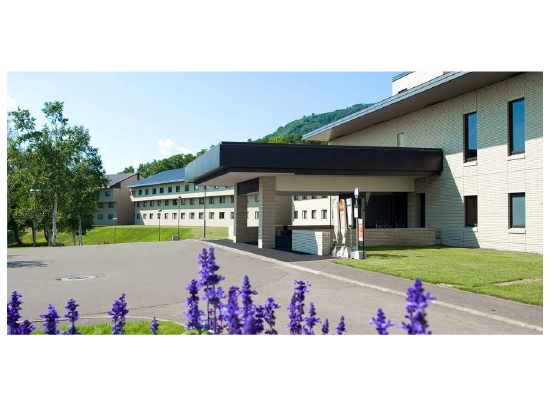 *Hours and days of operation are subject to change according to snow and weather conditions.